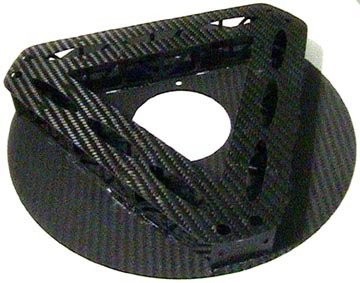 An 8" f7.5 parabolic primary mirror and carbon fiber truss cell. 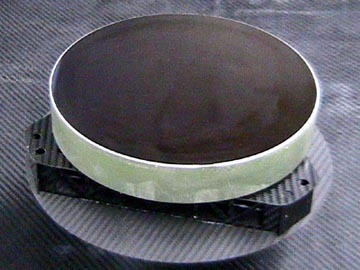 The primary mirror weighs 5.2 lbs. 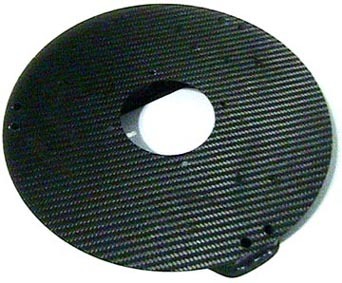 The carbon fiber cell weighs 0.228 lbs. Six attachment points have been computer optimized for placement. Both the mirror and the truss are 1.35" tall. 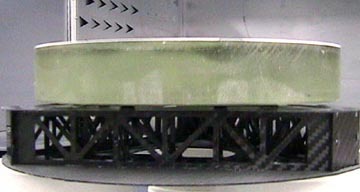 The outer diameter of the round, back flange of the cell is 9.625" in diameter. Continue on for additional photos of this mirror cell.